Something over a year ago, back in 2014, a new research team came to my attention. The first thing I noticed was that one of the team members was a real dog… the senior member, however seemed level headed and very interested, if not too well informed. I began following their work loosely and noticed a distinct improvement in the material being presented in their videos they released regularly… most from near their western Washington home. 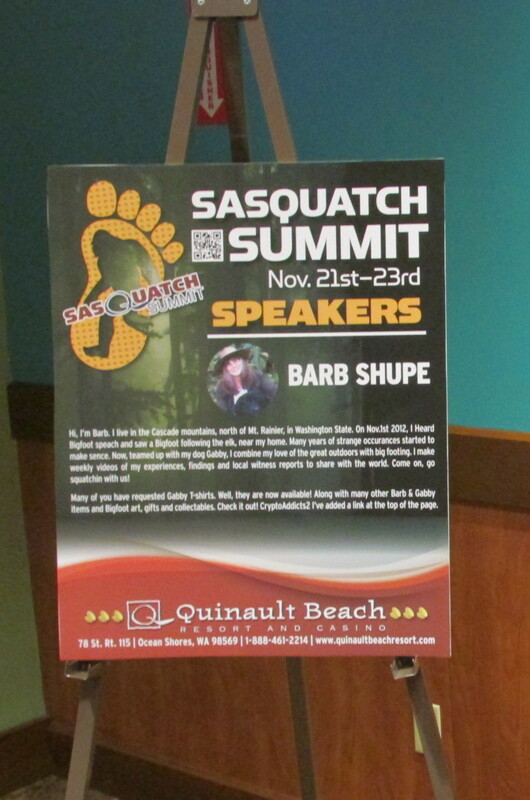 It was November of 2014 that I first met this lady at the Sasquatch Summit in Ocean Shores, Washington where we were both on the dais as speakers for the event. Although we had talked prior to our meeting here, we met, face to face here at the Friday night session. It was but the work of moments to understand that here was someone who was devoted to her work and was interested in gaining more knowledge for the RIGHT reasons… not for greed or self-aggrandizement, but simply for knowledge. I could see early on that she was chosen of them to spread their word through her work and effort. During the round table forum at the end of the Summit, I credited her with the saving of my life when Todd Standing was attempting to usurp the proceedings to advance his own position… every time he said something I disagreed with, I’d reach for the microphone and she’d take it away from me and slap my hands… thereby keeping me from saying the wrong thing in front of this large gathering! of these events and found it to be a wonderfully spent weekend in the forests of the Gifford Pinchot Nat’l Forest just north of Mt. Rainier. Sandy is a wonderful camp coordinator as well as the chief cook and bottle washer! 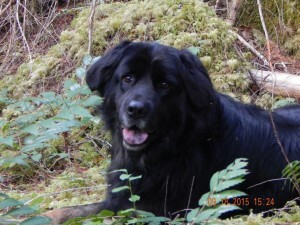 Sam has her own you tube channel and page on Facebook called “Planet Sasquatch”. Sam is a professional at film analysis and has the knowledge and tools to do the work required to bring the hidden nuances of a film to the forefront and to understanding. Actually, some of the work she has done is nothing short of amazing and the results quite spectacular. want so time spent there was not to be bested anywhere! western slope of the Cascade Mountains rivaled any similar period I’ve ever been associated with at any time. From suspected sightings on first arrival to the discovery of unique and elaborate structures left for them… from track imprints of the tiniest of their citizens to the most honored of their monuments… Many were the marvels of this outing. 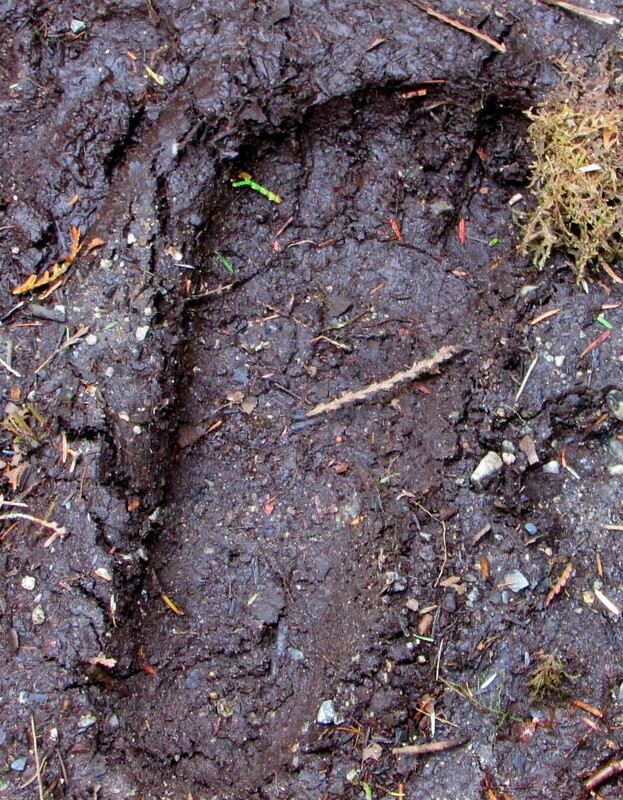 given by this couple, a very large grizzly bear had been walking around their camp at night, disturbing their camp gear, rustling and looking into their tent and leaving tracks so large they could, themselves, stand in them. The first problem with this scenario is that there are no grizzlies in this part of Washington. 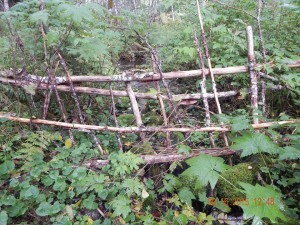 They occur only along the northern tier, adjacent to Canada and in the far northeastern corner, near Idaho. 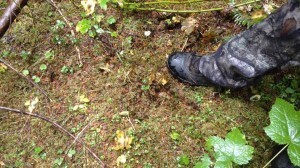 Second, these tracks had no claw marks and grizzlies have non retractable claws… they show in their prints. 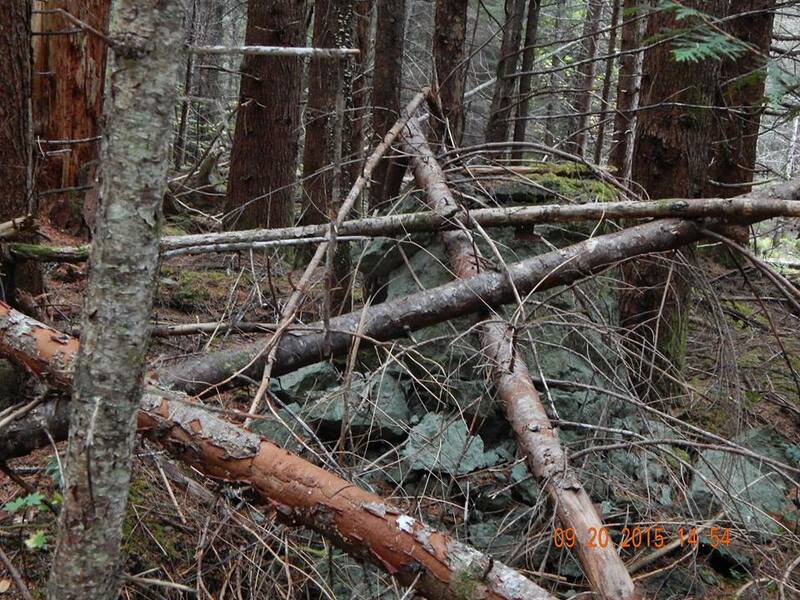 Further, if a grizzly came into camp, it would be in search of food and the destruction would have been widespread… possibly even injury to the occupants. Grizzlies are not good campmates and the best course of action one can take if they do show themselves is retreat… as quickly and thoroughly as possible, get out of his way. In all the land he inhabits, Mr. Grizz is the top of the food chain and has been for millennia… one should never challenge him under any circumstances… simply retreat and stay out of his way. 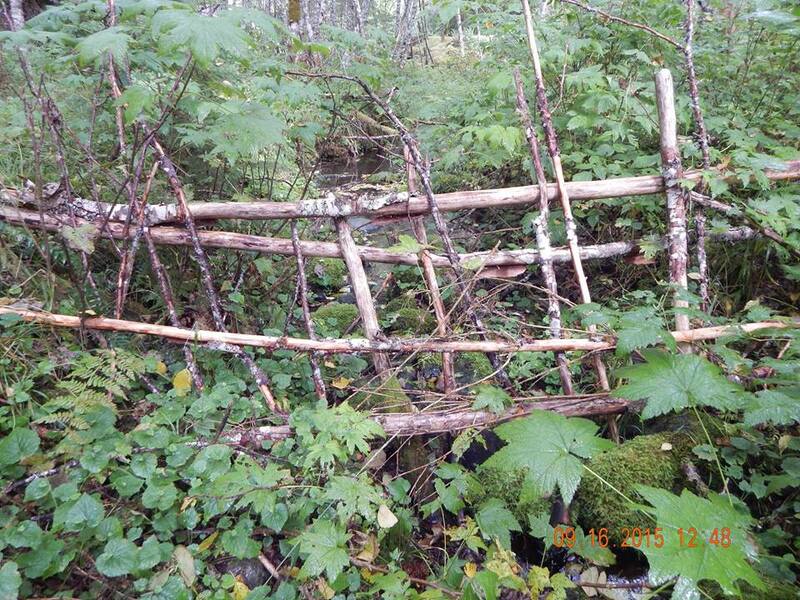 There is nothing in the our world that can turn a simple stroll to the outhouse into the adventure of a lifetime like one well placed grizzly on the path! Barb and others of her group undertook the task of explaining the actuality of the tracks they had found around their tent to the couple. 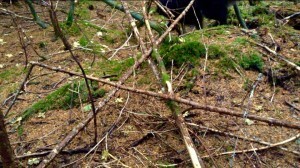 They were shown the shape of the tracks found and how that would differ from the track of a bear. 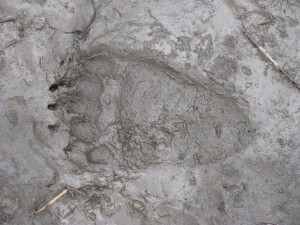 Even a double struck bear track, one in which the bear’s hind foot lands in the impression of the front foot as the creature moves on forward would not have accounted for the extreme size and square shape of these prints. 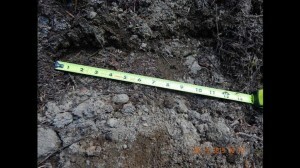 Tracks were found in the immediate vicinity that exceeded fifteen inches in length. Applying the standard anatomical conversion factor for primates, this would yield an individual in excess of eight feet in height that would weigh between seven hundred seventy five and eight hundred pounds! 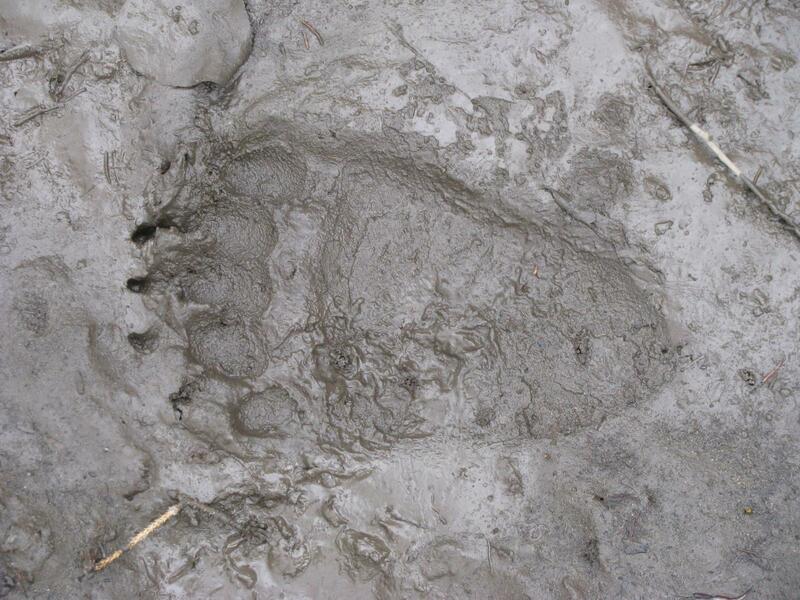 It should be noted that a bear’s rear foot is triangular in shape as per the illustration. 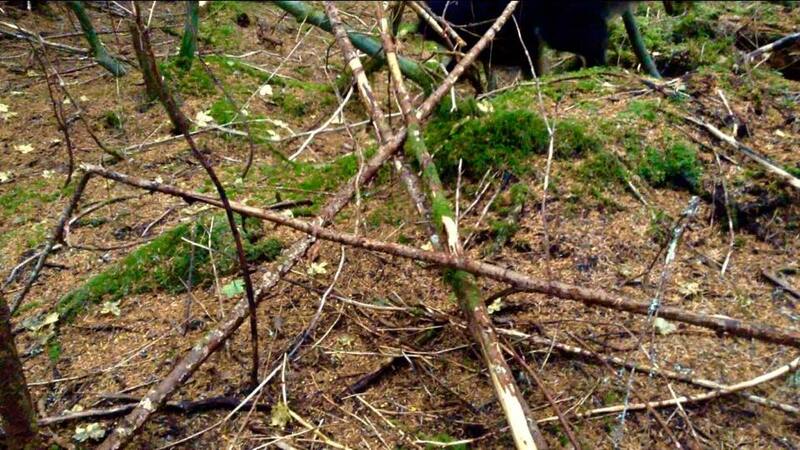 It will nearly always show the claw marks… especially a grizz because their claws are not retractable. Further, a double struck track is seldom even. There is usually an overstep to one side or the other leaving it less than uniform in appearance. A sasquatch print will be quite uniform in width from toes to heel with the front half, that portion forward of the mid tarsal break, slightly deeper in the soil than is the rear portion. A close examination of the mechanics of their gait will show why this is. to land, heel first, rather heavily. Our heel strike is our deepest penetration and the ground penetration lessens as we roll forward to the ball of our foot and onto our toes for another pole vault with the next stride. Our feet strike the ground at roughly our shoulder width or a bit closer. 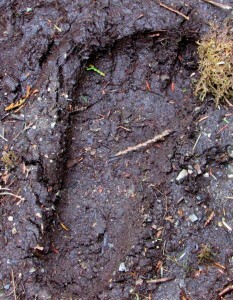 The sasquatch uses a compliant gait in which his foot is lifted from the ground, swing out to the side and brought forward to be placed down smoothly and in line with the track made by the opposite side foot, with the entire foot making contact with the ground simultaneously, placing about seven and a half pounds per square inch pressure on the soil. As he moves forward, the joint that is the mid tarsal break allows the rear half of the foot to rise clear of the soil and transferring the weight held by the entire foot to the front half of the foot, increasing the ground pressure significantly, perhaps to as much as fifteen pounds per square inch, creating a deeper impression in the front half. This is something to always look for in a casting to determine at a glance if the track could have been man made and left there to be found. 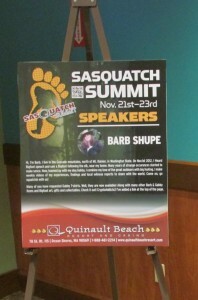 Barb ‘n Gabby have a wonderful thing going here… I highly recommend her work as something to follow and emulate. Are all of her conclusions 100% correct? I doubt it seriously, but then, I doubt mine are either! But… she is a credible gatherer of data… she, with her team, Sam and Sandy, do some marvelous things with the video evidence. Do I expect their work to provide definitive proof of the sasquatch people to the public at large? I pray that NOT happen ever… but for the serious investigator and the casual observer, her work provides another avenue of good data that has been well thought out and analyzed in a logical and non-emotion manner. If anyone is NOT a subscriber to Barb’s Youtube Channel, “Squatchin’ With Barb ‘n Gabby”… I highly recommend you become one soonest… I have!